Ag Enterprise Supply Inc. has everything you need to get the highest yields out of your crops. 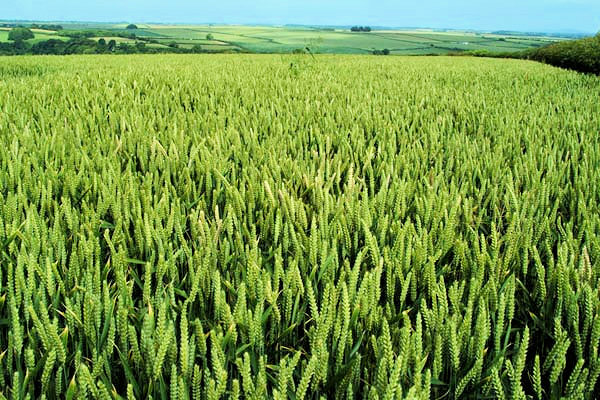 We provide a comprehensive line of fertilizers and crop-protection products as well as an extensive agricultural-equipment manufacturing and parts department. Headquartered just outside of Cheney, Wash., about 20 miles west of Spokane, Ag Enterprise Supply, Inc. specializes in premier agronomy services. It uses time-proven methods of analyzing soil to find the precise mix of fertilizers, as well as the proper dosages of crop-protection products for your specialized needs. Year in and year out, the company's customers see a return on investment in the form of cleaner fields and bigger yields. Its parts department has in stock more than 10,000 items so that farmers can walk in and walk out with what they need, rather than waiting days or weeks for parts to be delivered. We now have online shopping for you to place your order after hours and have it shipped direct to your door. The farm-equipment manufacturing department customizes trucks used by local and state transportation departments in weed control and street deicing products. In addition, the company can retrofit nearly any existing piece of equipment to meet your specific needs. To a person, our experienced staff treats the stewardship of your farm and equipment as if it were their own, with an attention to detail and the backing of proven science to ensure you are as successful as you can be. We are all about Sales - Service - Satisfaction. AG Enterprise Supply, Inc. is led by its President and CEO Gary R Farrell. The staff are all professionals in their field of expertise and are committed to providing the best service possible to our customers and vendors as well. Gary grew up on a farm in Troy, Idaho. He attended Jr. and Sr. High school in Pullman graduating in 1971. While in High School he was very active in the FFA program, earning the Washington State Farmer degree from the FFA. He also attended the National FFA convention in Kansas City, Mo. In 1971. He attended Spokane Falls Community College majoring in Agribusiness. After college Gary worked in the feed business, then on to be a field man for a pea seed company. After working as a fireman at WSU he went to work in the fertilizer business in 1975. After working in retail he spent two years working in the wholesale chemical business. In 1986 he went to work for his old partner at Ag Enterprise and in 1990 became a stock holder of the company. Gary then purchased the outstanding stock from the company’s founder in 1995. He then became the owner and president of Ag Enterprise Supply, Inc.. The company has experienced unprecedented growth and expansion, including a new facility in Cheney in 2000 and opening a branch operation in Wilbur in 2002. Since 1975 Gary’s experience has allowed him to become a leader in the industry he so loves. 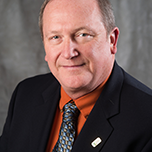 He has served on the board of directors of Westlink Ag from 2001 – January 2014 and served as President since 2004. Westlink Ag is a member owned buying group consisting of 30 member owners. In 2006 Gary was chosen to serve on the board of directors for the National Agricultural Retailers Association based in Washington DC. He was chairman of the Public Policy committee from 2011-2012. He is now serving as Chairman of the board for the 2014 year. In December of 2013 Gary was asked to join the board of directors of the Spokane Wishing Star Foundation which he accepted and looks forward to being a part of a great organization. 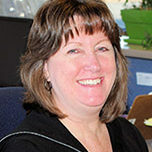 An administrative assistant who has been with Ag Enterprise Supply Inc. since 2008, Julie is the go-to professional when it comes to billing questions and computer-system issues. 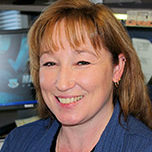 She also is trained to answer questions in payroll, human resources, accounts payable, and accounts receivable. Sue is the voice you get when our customers and vendors call Ag Enterprise Supply, Inc. during normal work hours. She has been with the company since 2004 and works in customer service, accounts receivable and supports Julie as needed. This is when she isn’t busy directing phone calls to us here at work. 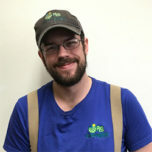 As Operations Supervisor, Jay is involved in overseeing the day-to-day sales activity for Ag Enterprise Supply, Inc. 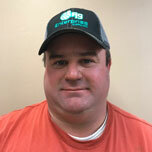 He has worked in the crop protection and fertilizer industry since 1994 and joined the Ag Enterprise Supply team in 2004. Jay has extensive safety and regulatory training and has volunteered many years towards sharing and teaching safety in the ag retail industry. This team of certified crop advisors has an ideal combination of in-class education and in-field experience in the Inland Northwest. Each one of them stays up to date on the latest developments and technologies in crop protection, while being steeped in the time-tested tools of the trade. Ag Enterprise Supply Inc.’s longest tenured certified crop advisor, Cal graduated from Washington State University in 1992 with a degree in general agriculture and a minor in crops and soil science. He has 17 years of experience in retail agriculture and has been a Certified Crop Advisor for 14 years. He has been with the company since 1995. 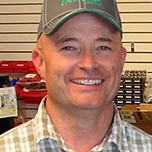 A 1987 graduate of Spokane Community College, Todd has 23 years of experience in agriculture and has been with Ag Enterprise Supply Inc. since 2002. He became a certified crop advisor in 1995. He is a statewide crop-production consultant, has his commercial operators license, and has worked as a custom applicator. 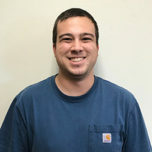 Gio graduated from Washington State University and began working for Ag Enterprise Supply Inc. in May of 2017. He majored in Agricultural Technology and Production Management and has a strong interest in agronomy and precision agriculture. 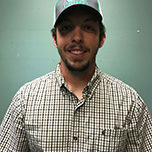 Gio plans to become an agronomist and certified crop advisor for Ag Enterprise Supply Inc.
Our sales staff has the experience and knowledge to determine which products are the right fit for your needs. Be it parts, pumps, repairs, precision ag electronic control systems or whatever your needs may be. They are available and eager to provide you with sales-service and satisfaction. Let us help you get the job done right the first time. Ryan grew up working on his grandfather’s dry-land wheat farm in Eastern Washington. He graduated from Washington State University in 1998 with a degree in agricultural technology and management-and a minor in Business Administration-then returned to farming. He worked on an irrigated/dry-land farm for 11 years before starting with Ag Enterprise Supply Inc. in July of 2009. Collin grew up in Poulsbo, WA and spent his early life on the water sailing and in boat yards. He attended Washington State University where he studied mechanical engineering before completing an agricultural technology and production management degree in 2012. During his time at WSU he worked on the research farms as a laborer, operator and mechanic. He also spearheaded the development and construction of a new plot planter for the pea and lentil breading program. 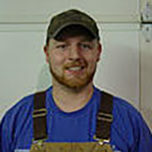 Collin started with Ag Enterprise Supply Inc. in January 2013. Blake was raised in the Columbia Basin on a family farming operation. 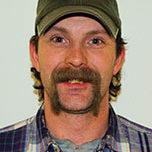 Graduated from Columbia Basin College and continued his studies in Ag Business at WSU. Blake was a Farm Manager for Agri Northwest and the General Manager for Watts Brothers. Blake was the Precision Farming Manager for Evergreen Implement before coming to Ag Enterprise. 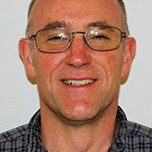 Blake has 30 years of experience in agriculture business and precision farming practices. Jacob grew up in southern Idaho on a family farm growing both organic and non-organic hay and grain. 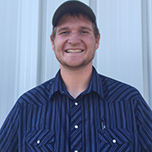 He graduated Wyotech in 2009 with a degree in Automotive Technology, and went on to graduate the University of Idaho with a degree in Agricultural Systems Management. His work experience includes time as a farmhand and as a custom applicator in the Palouse region. I grew up on a farm in the Cheney area. I have been around the ag industry my whole life, on both sides of the table both as a consumer of ag products and supply. My knowledge strong points are agronomy, blending automation, welding-fabrication, mechanics, safety, regulatory, and hydraulics. Work history ranges from being a farm hand, to millwright work to operations management. 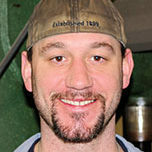 Paul is in charge of the fabrication and welding shop in Ag Enterprise’s parts department. He started welding, fabricating, and as a mill right carrier in 1999, going to work building dump truck bodies and trailers at Reliance Trailer early in his career. He joined Ag Enterprise in 2009. Brian grew up on a dryland wheat and cattle ranch in the Eastern Oregon and returned to his agricultural roots when he joined the Ag Enterprise Supply Inc. team in 2010. A graduate of Universal Technical Institute in Phoenix, Brian worked as a hydraulic technician at Western States Caterpillar and as a foreman/manager at Cascade Cable Constructors. He has a background in diesel and gas engines, electrical, hydraulics, fabrication, air-conditioning, and heating. A lifetime Washington resident and 1980 graduate of Central Washington University, Gil has worked at Ag Enterprise Supply Inc. since 1998. 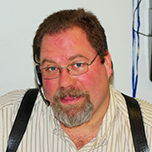 He has worked in the heavy-truck transportation industry and related fields for more than 30 years. He has attended countless classes conducted by truck and truck-component manufacturers such as Cummins Engine Co., Detroit Diesel, Navistar International, Ford, Bendix Commercial Vehicle Systems, Midland Haldex, Fluid Power Training Associates, and others. Ron was born and raised in the Pacific Northwest, served in the U.S. Army for more than 13 years and saw service throughout Europe and South East Asia. 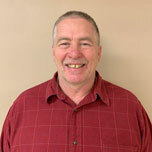 Although he is new to the agricultural world, Ron has over 20 years of truck driving experience and always has a smile. We see the importance of our farming community in Lincoln county. Our dedicated staff in Wilbur, are dedicated to helping you with your choice of parts, seed, feed, fertilizer or chemicals that will best suit your specific needs. Give them a call and they will be happy to help maximize your yields for higher yields. Contact one of our Agronomists for your specific needs. 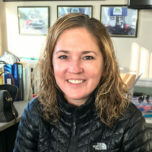 Stefanie Nunamaker joined AG Enterprise Supply, Inc. in 2012 after working in Transportation for 5 years in the Tacoma/Seattle area. She specialized in Dispatch and Customer Service. She was born in Longview, WA raised in Kelso and graduated high school from Lake Stevens, WA. She graduated with her Associates Degree in Arts and Sciences from Pierce College in 2002. Stefanie also played golf competitively for over 15 years. Since being with AES she has obtained her Dealer Manager License. Stefanie moved to the Almira/Wilbur area in 2010 where she now raises her daughter. Nick grew up working on the family farm in Odessa, WA. 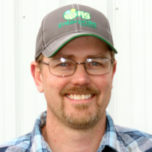 He is currently seeking a degree in Agricultural Business from Spokane Community College with the hopes of becoming a Certified Crop Advisor and salesman for Ag Enterprise Supply, Inc.
Mike Nestor joins the AG Enterprise team with AG retail experience since 2002. Born in Colorado, his family eventually moved to the Wilbur area. He relocated to Reardan for 2 years and moved back to Wilbur, WA where he graduated high school and currently lives with his wife and children. His parents farm in Reardan and his in-laws farm in the Wilbur and Mansfield areas. Mike is a Certified Crop Advisor and has a Commercial Operator and Dealer Manager license. He has a background in Canola, Alfalfa and Dryland Wheat. Mike has a passion for the ever evolving farming technology. He is well versed in AG Leader Technology and variable rate technology since 2010.